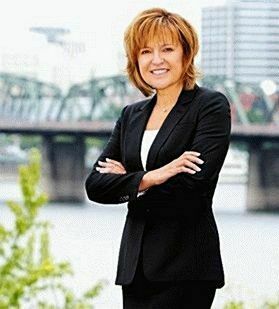 Jan Stranski has combined her extensive knowledge of the greater Portland area, 15+ years of real estate experience, plus plenty of tireless energy and enthusiasm, to become an exceptional broker with a stellar reputation. And with the sizeable backing and resources of real estate leader Windermere to draw from, she’s an even more powerful ally when it comes to winning campaigns to buy or sell a home. A great communicator, Jan also provides exemplary service and always-there support, carefully and patiently guiding her clients through each and every detail of the real estate process. She utilizes, and openly shares, her vast professional network—from fellow brokers, financiers and attorneys to architects, interior designers and inspectors—to generate expectation-beating results. Jan’s demeanor, work ethic, negotiation skills, marketing savvy and clear understanding of technology complete the picture here, putting her in that upper tier of Portland realtors that can close the deal best suited to you. On a more personal note, Jan has a daughter on the University of Kansas swim team (Go Jayhawks! ), loves Oregon’s beaches (she handles property out there, too), horseback riding and keeping on top of the fickle “fashions” of today’s homes. She’s lived on both sides of the Willamette River, so she knows the many flavors and quirks of Portland’s neighborhoods, from bike routes and vegetarian restaurants to public and private schools. This also elevates her real estate game, making her even more a surefire choice when seeking a top-notch broker for all your real estate needs.